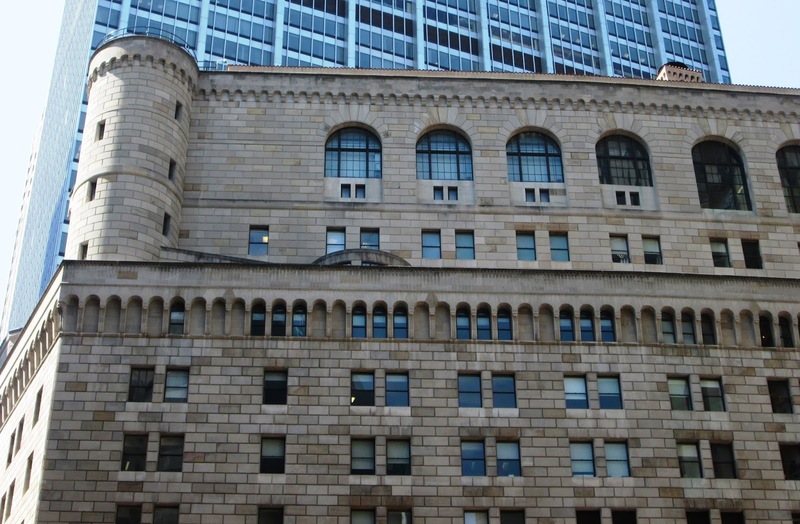 Federal Reserve Bank of New York: The Fed will administer the TLAC requirement that big banks should have a minimum amount of long-term debt, as well as capital. Up and down the elevators at big banks in the U.S. these days, there is prominent discussion going on among those who worry most about balance sheets, bank capital and regulation. Listen in, and they might be debating the impact of a new regulatory requirement--above and beyond the thousands of other pages of bank regulation unleashed by Basel III and Dodd-Frank. "TLAC" is what they're talking about. It's referred to as "Tee-Lac," and it stands for "Total Loss-Absorbing Capacity (or Capital, in some circles)." For the past couple of years, bank financial managers and risk managers have been pondering it, whispering about it, analyzing it, and attempting to understand it. Regulators have been promising it was on the way. It's finally here, at least in the early stages. The Federal Reserve affirmed its TLAC plan in December. The largest banks will try to prove quickly they are in compliance. In the back corridors, some will fret that while it makes big banks stronger and much better able to endure stress or extreme scenarios, it is yet another threat to banks' dwindling returns on equity (ROE). Increases in capital and reductions in leverage (as required by post-crisis regulation) snip at ROE. With all its promise that it leads to a stronger financial system and makes for sturdier bank balance sheets, TLAC could also gnaw away at ROE. TLAC is supposed to ensure banks have ample amounts of long-term and stable funding sources, especially vital when the biggest of banks now sport balance sheets flirting with $2 trillion levels. Bank CFO's wince, because the requirement will increase the cost of funding, on average. Cheaper, but less-stable, less-reliable short-term debt must be replaced by more expensive, but more stable long-term debt. Banks will be required to substitute some of those fleeting, unpredictable funds sources (like deposits from hedge funds) with long-term debt to add to the mounting amounts of capital requirements described above. Think "run on the bank," or the regulators' efforts to introduce a metric (or requirement) to minimize the scenarios where worried, panicking short-lenders or depositors run away from what they perceive as a financial house burning down. Or viewed differently, short-term lenders and institutional depositors won't flee too quickly if they know there are several layers (and tens of billions) of a capital cushion resting beneath them. Many may call it "TLAC." Many others, including regulators themselves, are calling it "bail-in" capital, as opposed to regulators in the last crisis bailing out banks. Bail-in basically means bank supervisors or the U.S. Government won't be pressed to bail out banks in a financial fire because (a) they don't want to, (b) much of the new regulation is designed with just that in mind and (c) they will have required the layers of long-term capital to absorb all the losses first. If the TLAC requirement is sufficiently high, even tens of billions of losses couldn't threaten the viability of the bank, threaten the claims of depositors and secured lenders, or (in sum) increase the likelihood of a Government bail-out. Call this, if you will, the "memories of Lehman" rule. Regulators and analysts reason that if Lehman had more liquidity and if it had more equity capital and long-term debt to supplant its reliance on worried secured lenders, it might have been able to survive the crisis of 2008, despite mortgage-securities mismanagement and mortgage losses. That's a big "if," given Lehman's shortcomings in managing risks and its balance sheet and its outsize ambitions. In the midst of market panic in mid-2008, Lehman reached a point where it couldn't buy the patience of institutional short-term lenders, who with growing amounts of complex, illiquid mortgage securities as collateral were clamoring to get out. As for TLAC, banks deemed to be "systemically important" (SIFI and G-SIB are other terms used to describe the club of banks considered "too big to fail) must comply. Peer banks in Europe will have similar rules. The amount of TLAC a bank is required to have will be tied directly to the riskiness of its balance sheet ("risk-weighted assets" (RWA) come to mind) and to the size of its balance sheet (leverage rules come to mind). The more market and credit risk embedded in its businesses and its balance sheet, the more TLAC. The larger the balance sheet, the more TLAC. And the more TLAC, remember, the more likely regulators will not feel obliged to tap the U.S. Treasury to save the bank in order to save the global financial system. Recall the tumultuous times of 2008-09 when the Federal Reserve and the U.S. Treasury developed game plans on the fly to decide whom to bail out and whom to allow to slide into bankruptcy. On any balance sheet, corporate or financial institution, more long-term debt offsetting declines in short-term debt means higher interest costs. With TLAC, net-interest spreads, which banks painstakingly manage, could decline, as a result. It's a new banking world. The big banks have begun to realize what they really knew all along--that the cost of strengthening their balance sheets and helping them endure the next crisis is shedding several points in their returns for shareholders.